Green algae can cause a pond to become unsightly causing fish and other wildlife to become difficult to observe. 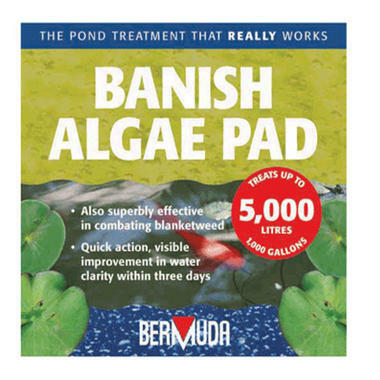 An easy way to clear algae. 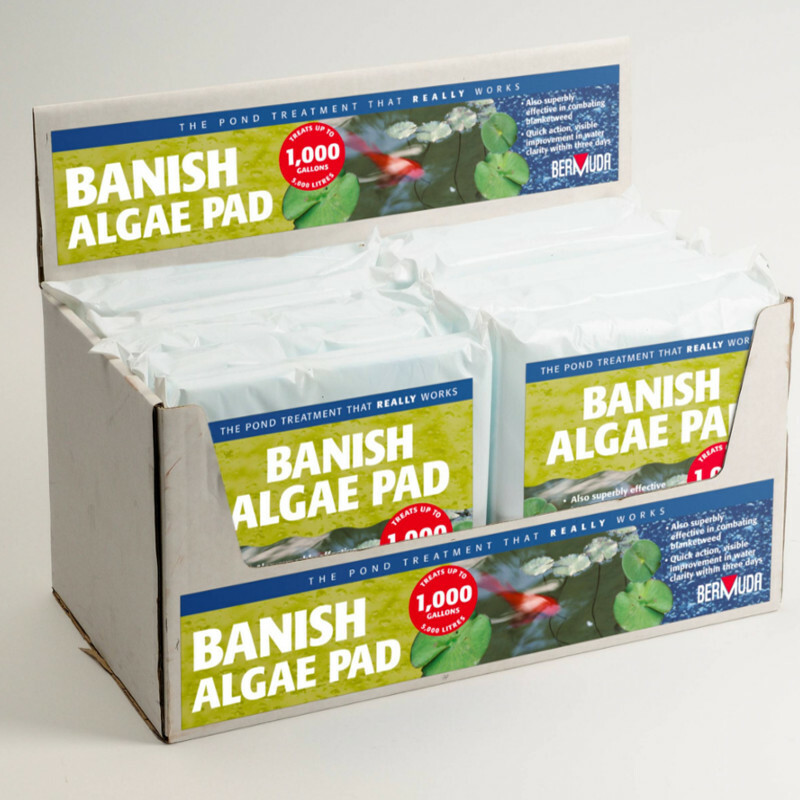 Simply float on the pond surface or place inside filter box. Quick action, visible improvement in water clarity within 3 days. Also superbly effective in combating blanketweed. Treats up to 5000 litres (1000 gallons). 20 x 20 cm Pad.